The Deadliest Over-the-Counter Drug Is Still in Your Medicine Cabinet. Use These Natural Alternatives Instead. “How did this happen? How did she get poisoned from the medicine that is always given, that we were told to give?” – one father asked after his 5-month-old daughter died from the Tylenol she was given in the emergency room. 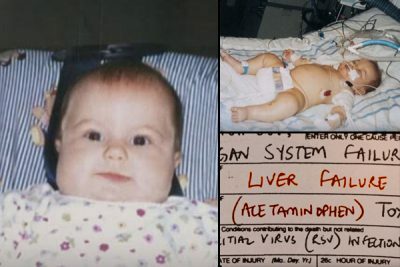 In January 2002, Christina Hutto took her 5-month-old daughter Brianna to a hospital to treat her fever associated with a cold. The medical staff decided to give her Tylenol, the most prescribed medication for fever. Just a few days later Brianna fell into a coma, and passed soon after from liver failure. “It wasn’t supposed to end that way,” a grieving Christina said. Until 2011 pediatric Tylenol came in two products: ‘Children’s Tylenol’ and ‘Infants’ Tylenol,’ which was much more concentrated. The nurse gave the 5-month-old a teaspoon of Infants’ Tylenol. The dosage that would be correct for the Children’s Tylenol was too high for the concentrated Infants’ version. Brianna had an overdose; her liver failed due to acetaminophen poisoning. The Huttos sued, and the jury allocated 70% of blame to the hospital; 23% to a subsidiary of Johnson & Johnson – McNeil Consumer Healthcare Company , the owner of Tylenol brand; and 7% to the Huttos. In 2011, after 15 years of Children’s Tylenol and Infants’ Tylenol mix-ups, McNeil started manufacturing only a single concentration of pediatric Tylenol. But the overdoses have not stopped there. “[The] active ingredient in Tylenol, acetaminophen, has what the FDA deems a narrow margin of safety… [The] difference between the dose that helps and the dose that can cause serious harm is one of the smallest for any over-the-counter drug,” reported ProPublica. Annually, acetaminophen overdoses end in 78,000 emergency room visits, 33,000 hospitalizations, and more than 150 deaths, reported The Huffington Post. It has caused more harm than any other over-the-counter pain reliever. The FDA and McNeil are aware of these statistics, and yet have failed to implement the proper measures to protect the consumers. The FDA first began its safety review in 1970s, and 39 years later it is still waiting to be concluded (just adding the liver damage warning took 32 years). In the 1990s, McNeil attempted to create a safe form of Tylenol — but after failing, they kept their experiments secret. Meanwhile people of all ages and health levels in the U.S. continue to die “accidental” deaths from the drug. In Europe to help prevent overdoses, there are limits to how much acetaminophen one can buy. In the U.S. and Canada, there are no limits. England limits it at 16 grams, Germany and Mexico at 10 grams, while in the U.S. you can buy 500 grams at once. The new restrictions in the UK were attributed to a 43% decrease in acetaminophen-related deaths. This change has of course hurt its sales by a staggering 60%. As the FDA continues to vote “no” on more restrictions, revenue may be one of the reasons why, as Tylenol continues to be the #1 over-the-counter pain medicine in the U.S.
Tylenol is mostly used for two main reasons: fever and general pain. When it comes to fever, is it worth the risk of taking this side-effect-ridden medication, when fever does not usually need to be reduced? That depends on the individual consumer, but it is worth noting that there are plenty of natural alternatives to use in its stead. Most fevers do not simply keep rising if left untreated, and rarely get higher than 104 degrees F. Other than requiring more fluids, a fever in most cases will not hurt the body, but instead help heal it over time. It’s just a matter of how much rest a person is willing to commit to in order to give the body the time it needs to heal itself. 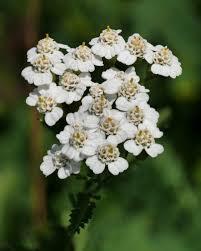 Yarrow is the number one most used plant for fever reduction. Researchers from Roswell Park Cancer Institute discovered that a fever will help the immune system work better to fight an infection. And a study by Roswell Park Cancer Institute found in its observation of mice that the body may in fact produce more immune cells when its temperature is higher. When deciding to treat fever, one of the natural ways to do it is by drinking yarrow tea. The plant helps bring the temperature down by making the body sweat more. According to Prevention magazine, other useful anti-inflammatories include ginger, clove oil, capsaicin, and turmeric. Regardless of what remedies you choose, the important thing is to always ask yourself whether the convenience of Tylenol is worth it, considering the harm it has caused and will continue to cause to so many people. While researchers still cannot figure out exactly how Tylenol works (a new study even shows that it kills emotions), one thing is for sure: it still doesn’t address the root causes of pain, and merely masks the symptoms. This is where natural remedies and lifestyle-related changes can work wonders, especially under the care of a licensed naturopathic physician. In the meantime, consume Tylenol at your own risk.